The World Wide Web has changed everything about how products are bought and sold. Nowadays, technology advances at the speed of light; if you blink, you might find your smart phone, computer or website out-of-date. The rapid advancement of technology requires you to be pro-active and agile in attracting and retaining customers. Adept, tech-savvy consumers have realized that they can use different channels to buy products. This hot dropshipping trend is called OmniChannel Selling. Advanced Dropshipping Guide: Learn How to Use Omni Channels to Grow Your Business. What do consumers want? They want to find the right product in the right color in the right size for the right price. Achieving this goal is not always so easy. What does Omni Channel Selling mean? The truth is that many dropshipping store owners might already be engaged in OmniChannel Selling, but have not heard of the term. 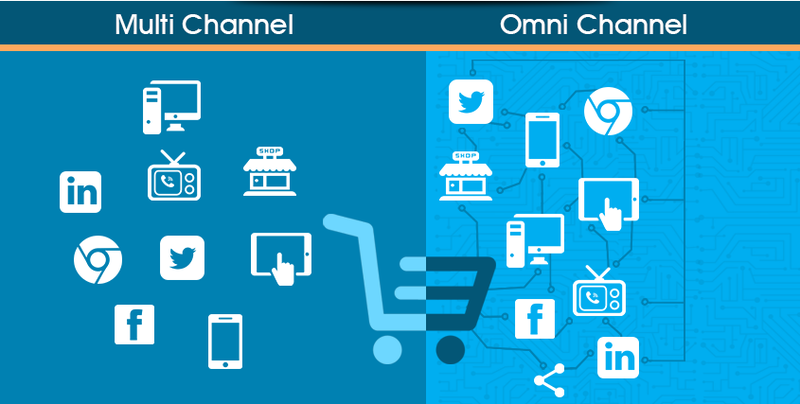 All that Omni Channel Selling means is providing your customer with different avenues to purchase your merchandise. Dropshipping is already an advanced form of Omni Channel Selling. You understand the ease, speed and convenience of the World Wide Web. You use these strengths to provide the best user experience (UX) to all of your website visitors. For you, Omni Channel Selling might include giving consumers the ability to purchase your goods via your website, phone, another website, Social Media or Point-of-Sale (POS) devices at special events. For brick-and-mortar store owners, they might combine the Internet experience with physical store purchases or vice versa. Each business owner must assess his present state of affairs and decide how to increase the number of avenues that consumers can use to buy his goods. 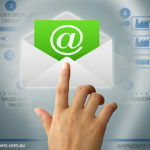 Let us start with an important fact: Australians are already engaged in Omni Channel Buying. How many carpenters do you know of, who only use one tool? They would be laughed out of the carpenters’ society. Every self-respecting carpenter has a toolbox full of hammers, wrenches and screwdrivers to complete different jobs. And, now the Australian consumer has a similar toolbox. Many Australians will combine physical store visits, eCommerce (desktop Internet access) and mCommerce (mobile device Internet access) to accomplish their buying goals. 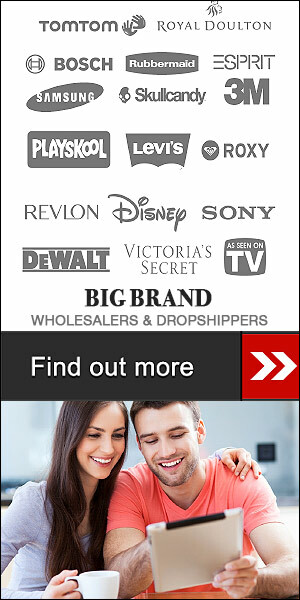 Moreover, Australians consumers shop differently based on the channel, they are using. This all became evident in the Ingenico Omni-Channel Retailing Report. Ingenico compared how consumers started and ended their product searches (brick-and-mortar, desktop or mobile device). When you understand your visitor Web searching habits, you can optimize their user experience. Therefore, once someone viewed physical merchandise to initiate their search, they usually returned to that store for the purchase. When a consumer searched the Internet using a desktop, they were not as committed to purchasing using the desktop. In fact, twice as many people purchased merchandise using a mobile device when starting their search via desktop, than those who purchased merchandise using a mobile device when they started their search at a physical store. People using a smart phone were least likely to make their purchase with that smart phone. But, they were more likely to purchase using a desktop than to buy at a physical store. So, what have we learned? Many consumers use mobile devices to initiate their searches. If they do so, they are more likely to purchase online. A wise dropshipping store owner should optimize the ability of his visitors to search his website. Experts suggest that you should optimize inventory visibility – provide short descriptions and small images, if you have a mobile website. For desktop users, you can use large product descriptions and images. Optimize searchability on your dropshipping website to increase sales conversion rates. 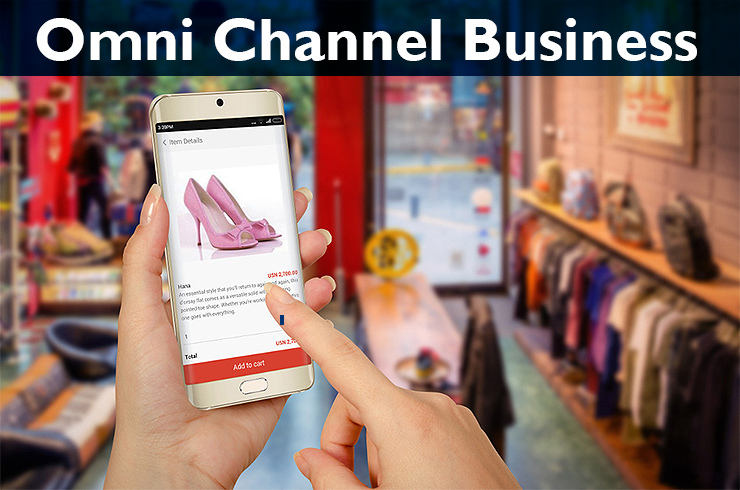 The discussion of using multiple channels to sell your goods begs the question – “What is the difference between Omni Channel and Multiple Channel Selling?” With Omni Channel Selling, you use multiple channels with the same branding; with Multiple Channel Selling, you branding is different on each channel. Of course, you can decide which is better. Some of the largest multi-national corporations use Multiple Channel Selling, especially when they operate in different countries. The advantage of Omni Channel Selling is that you continue to build your brand recognition. This increases the trust that consumers have in your company. You can grow your business and brand recognition by adopting the same technology as your consumers. Goal: Grow your business as your customers grow. Of course, as a business owner, you should be one step ahead of your consumer. Your dropshipping store should have better technology than your consumer. They should be able to use a variety of devices to access your wares. While you can create a powerful dropshipping brand with Omni Channels, you also need to be very careful about how you do so. You need to create the right balance between adhering to your brand business plan and optimizing the benefits of each channel’s characteristics. How do you accomplish this? Think about three special characteristics of your brand. What do you offer that others don’t? List specific products, sales techniques and customer interactions that are essential to your marketing strategy. You can use your brand’s logo, color and slogan on all of your Omni Channels. Try to create some consistent sales strategies or terminology for all of the channels. Then, develop technology to allows for you to identify a customer, irrespective of which channel, the customer uses. You could use a customer loyalty card linked to a customer name, account number or phone number to access their rewards. Omni Channels are superior to Multiple Channels because Omni Channels can create a seamless UX. People love great experiences. In fact, Ingenico reported that 57% of Australians prefer “experiences over things.” That means that if you optimize the UX, then consumers are more willing to buy from you. Price Waterhouse Coopers (PWC) rated Australia as #3 in the world for OmniChannel development (US is #1 and UK is #2). Now, we will review each of the 4 primary sales channels: 1. Brick-and-Mortar, 2. Your Own Website, 3. Social Media and 4. Other. We will also discuss how to leverage the power of each channel to increase your sales. Physical (brick-and-mortar) stores continue to account for the vast majority of retail sales in Australia – about 93%, by last calculations. The habit of filling up the car with petrol and driving to the local shopping mall still remains well-entrenched. These consumers might devote an entire morning or afternoon to visiting physical stores. Goal: Provides hands-on interaction with merchandise – consumers can play electronic games or try on clothing. Even physical retail franchises are realizing the power of the Internet. They are offering consumers the chance to buy the merchandise online and pick it up in the store. Some consumers still like to feel the product in their hands. Physical stores cannot compete with the always-available, convenience of online shopping. Consumers can access your website using a A. Fixed Desktop or a B. Mobile Device. Data from the WeAreSocial (also known as HootSuite) 2017 Global Digital Overview showed that about 64% of Australian Web traffic uses desktops and about 36% uses mobile devices for access. We will discuss how each consumer might surf your website differently depending on the device, he is using. Shoppers using their desktop to surf the Web, usually have more time on their hands. They might have a long list of different products to look for. You might imagine a housewife looking through merchandise to determine the best prices for children’s school supplies. Goal: Provide detailed product descriptions and searchable navigation. These consumers might spend hours online using a landline connection. They are in no hurry. You should provide these individuals with plenty of detailed product descriptions and searchable navigation. You might even include products videos – this customer has time to watch them. Although people of all ages use their smart phones for online shopping, mobile Web surfing habits might be best exemplified by teenagers. They have a very short attention span. They have time for a quick search to find a specific product, which they might have seen worn by their favorite celebrity. Goal: Mobile websites are fast, agile and can be accessed anywhere at anytime. 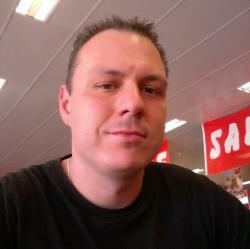 For these customers, you want to provide small images, short descriptions and fast processing. They don’t have time to wait. Their smart phones are not as powerful as desktop computers. Focus on trying to promote your products in a very short amount of time. Some older people are still resistant to online shopping. Two-thirds of Australians have active Social Media accounts. Social websites are becoming the marketplace for sharing ideas on the most important issues of the day. According to HootSuite, Australians spend an average of 1 hour and 39 minutes on Social Media each day. Goal: Gauge society’s public opinion on a topic, product or event. There are many different Social Media websites, but we will just focus on Facebook because it is the largest. You can sign up for free and create your own Facebook web page. But, what do you do next? Start with deciding how much time you want an employee to devote to Social Media, each week. The most valuable activity is to interact directly with the visitors. But of course, you might have limited time. 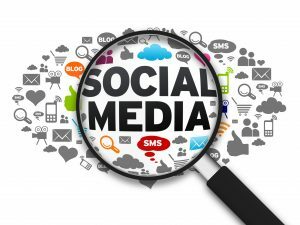 So, what are some efficient Social Media Marketing Strategies for those with limited time? Try to pick the same day for Social Media interactions, if you can only devote one day a week. See what topics are being discussed. Find a way to link Facebook to your main website through coupons, discounts or special deals. Another option for busy dropshipping store owners is to hire a Social Media Planner. This Social Media Planner can write weekly text for Facebook, Twitter or other websites. He can also schedule the content to optimize viewership. Tell him what you want and he does the work. Social Media attracts high traffic, every day. You can start a Facebook page for free. So, why not take advantage of free publicity? Sometimes, individuals on Social Media can be a little “knee-jerk” with respect to current event opinions. Sometimes, you have a close friend or associate, who allows you to blog on their website. You might have built up your reputation and following on this website. Did you know that you can place a Shopify Buy Button on someone else’s website? How does this work? Goal: Reach hard to find customers who might respond to different marketing techniques. You can embed your Shopify Buy Button on other websites, blogs or platforms (as long as they permit an HTML or plain text editor). You can customize the color, text, image and price on the Buy Button. You can link the button to your cart, checkout or product. You can reach a different customer demographic with a Shopify Buy Button. You can’t control someone else’s website or blog. Nowadays, the retail market is even more competitive than ever. 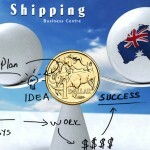 You are not only competing with Australian companies, but you are competing with global brands. So, how can you stand out from the crowd? Know your customer and anticipate their wants and needs. First, upgrade your dropshipping store to satisfy each type of visitor: desktop or mobile. Optimize the searchability of your merchandise. Visualize how each customer will navigate your website to purchase a product. Second, collect statistics on each customer using the best dropshipping customer relationship management (CRM) software or apps. How can you fine-tune your marketing strategies to offer personalized upselling? Third, create a relationship where you can send your customer Push or Pull Notifications. Create a deeper relationship and increase the value of your customer understanding. Then, reward customer loyalty with special deals. The best customers will use word-of-mouth to praise your online store. You know how Australians talk, what they eat and what they need to live the best life. Now, you know how they buy merchandise. What is a specific example of how you can provide this personalized shopping experience? Why don’t you use all of the aforementioned tools to create a Customer Wish List? You could use any number of Abandoned Cart apps to create a Customer Wish List. Experts have discovered that many Abandoned Cart contents include merchandise that a consumer wanted to buy, but could not purchase due to a lack of time or money. 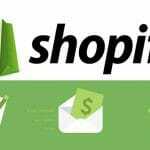 Shopify has numerous Abandoned Cart apps to choose from. You could list products that customers are most likely to be interested in. Then, use a well-timed Push Notifications to upsell. 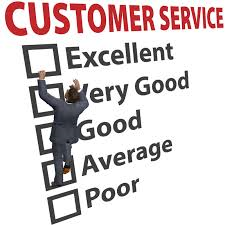 You might create a loyal customer for life with this personalized customer service technique. Ingenico found that 70% of consumers “like to buy from merchants” that they know and from whom, they have bought from before. Customer loyalty is worth its weight in gold. 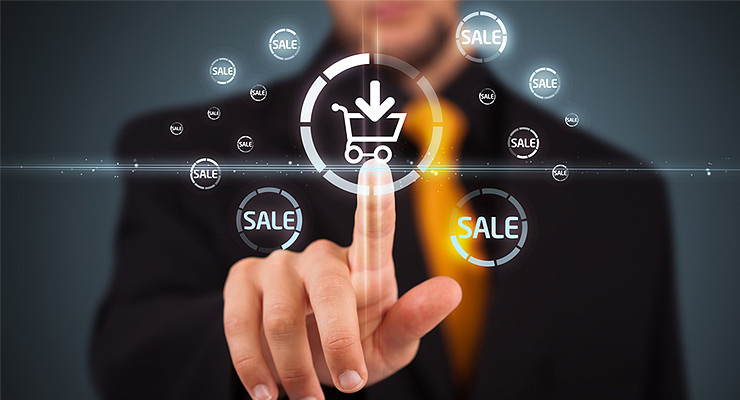 Modern eCommerce requires a more comprehensive, sophisticated way to sell your merchandise. If you want to provide the best shopping experience, then you need to know your customer, provide them with the best merchandise and the most popular channels to complete their purchases. You don’t need to reinvent the wheel, you simply need to use the latest tools to satisfy customer needs. Your customer is growing with technology. 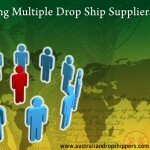 You need to grow your business to enable them to use their technology to peruse your dropshipping store’s wares. Use CRM and apps to determine how your customer likes to research, compare and purchase merchandise. Offer more personalized customer service to your most loyal customers. The successful Omni Channel Selling Strategy will allow you to maintain cross-channel branding synchronization, leverage strengths of each channel and optimize the user experience. Australian consumers are already using Omni Channels to achieve their goals. Provide your customers with the best Omni Channel experience and this will pay great dividends.